With a track record of consistently achieving sterling academic results, Hwa Chong Institution (HCI) continues to set the bar high with another strong showing by the Class of 2018 at this year’s GCE ‘A’ Levels results release. Six out of every 10 students (60 percent) scored three H2 Distinctions and above, while 13 subjects recorded improvements from past years. Among the top performers are Ooi Ren An and Neo Xuan Ling, who are both awarded provisional Public Service Commission (PSC) Scholarships in Engineering and Foreign Service respectively. Driven by a spirit of excellence and self-improvement as espoused by the school’s value of self-improvement with tenacity, innovation, and passion, a bright future laden with opportunities for holistic development lies ahead for them. 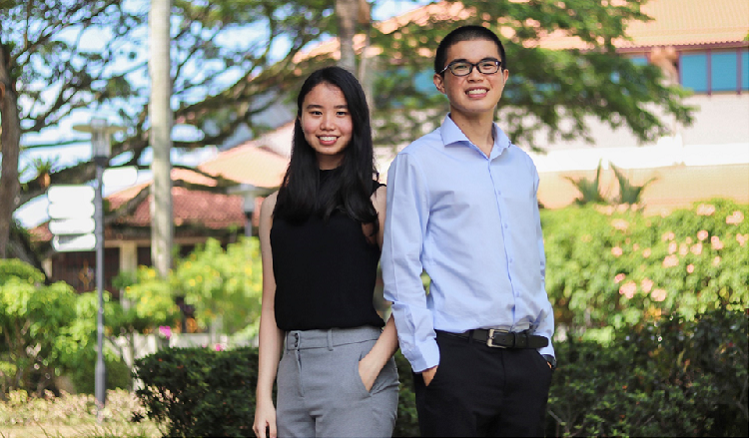 BrightSparks sits down with Ren An and Xuan Ling as they share how HCI has provided them with a springboard for success by laying the groundwork early on, along with how their scholarships would help empower them to make a difference. The duo’s choice of scholarship is also influenced by another of HCI’s enduring values: remembering one’s roots. Xuan Ling believes that a PSC Scholarship in Foreign Service not only aligns with her interests in current affairs and international relations, it also gives her a platform to contribute to society. “I’m thankful for the opportunities given since primary school, so it feels natural to give back through foreign service,” she explains.